Click picture to see more !! Facebook Page is "Blackpool Renaissance Trans Support Group"
The Meetings provide a safe and friendly environment for trans people Whether TV/Tg/Ts M2F or F2M /Gender Fluid/Gender-Neutral to be themselves, meet like minded people, make new friends. For those wanting to get out, its a great place to gain confidence and meet other people just like you. Renaissance is taken from the French for Re-Birth: our group was formed to help trans people to come out and be themselves in a safe environment and find support in their journey. The group started over 20 years ago with only 6 people at the first meeting. The first meeting was organised by Dee [Suzanne] Gallagher at a friends beauty salon in a small town north of Preston, handy for both Preston and the Fylde coast. From the first meeting Renaissance has always welcomed both Transsexuals (TSs) and Crossdressers (Tgs) and now includes others from the Trans Spectrum. The owner of the salon gave the group its name – Renaissance. 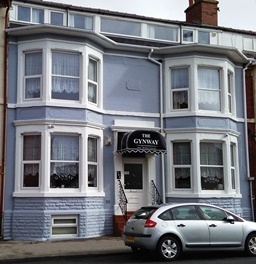 Meetings are currently held in Blackpool at the The Gynway Guesthouse. Myself and my partner Petra provide both the Venue and Refreshments for group meetings. The group does not have a committee and remains very informal. Its been a successful formula with Renaissance now established as one of the main Trans venues in the North West. There is a small admission charge on meeting nights to cover costs of the food, tea / coffee and of course the venue.